I have been in Qatar nearly 6 years. For the first 2 I had no TV at all, and for the last 4 I have had OSN. I had the full OSN package to start with, then last year cut it down to a QR 200 package, because I didn’t consider it good value. 12 months on I got fed up with the English channels I had on OSN mainly being repeats over and over again. So I decided it was time to look at my options for bringing proper UK TV to me here in Qatar. Through my wonderful Aramex Shop & Ship account I received it within a week, hooked it up to my TV and my VPN router which points to the UK and voilà. I was instantly mega disappointed I hadn’t bought one of these ages ago. OMG I was shocked at how good it was. Within hours I had disconnected my OSN box and set it aside for collection. Live streaming UK Sky News, plus the opportunity to pick and choose on demand Sky News articles to watch. BBC iPlayer which on its own gives me more content than I can possibly watch in a week, Demand 5 which I really wanted for the Gadget Show and much, much more. Plus it has Netflix as well, and as soon as I entered my account details I had all that lovely Netflix content available to me. And last but not least all the Amazon Prime movies and TV shows as well. I didn’t know what to watch next. Anyway being greedy, I then decided to order a NOW TV box from Sky. This arrived yesterday, and now I have really over done it. Seriously I am now on TV overload. All the UK terrestrials are represented. Live TV streaming and on demand content. Last night I enjoyed Britain’s Got Talent followed by Game of Thrones series 5. I was enjoying a typical UK weekend TV viewing experience along with some nice snacks, and I was loving it. Ok here is the bad news; you need a VPN Router to connect these two box’s to. And VPN routers cannot be bought pre-configured here in Qatar. However you can buy a Linksys E900 from Jarir Bookstore for QR 169 and install software called Tomato or more specifically flash the routers bios with it. Tomato is free but you may struggle to install it yourself. I got a friendly Audio Visual company to set mine up for me (Barzan Digital Tel:5013 4502 ask for Joseph). Once your configured Linksys E900 router is plugged into your existing home WiFi router you are in business. Anything you plug into the E900 appears to be located in the UK, and if you connect devices to it using its WiFi such as a tablet, that appears to be in the UK as well. 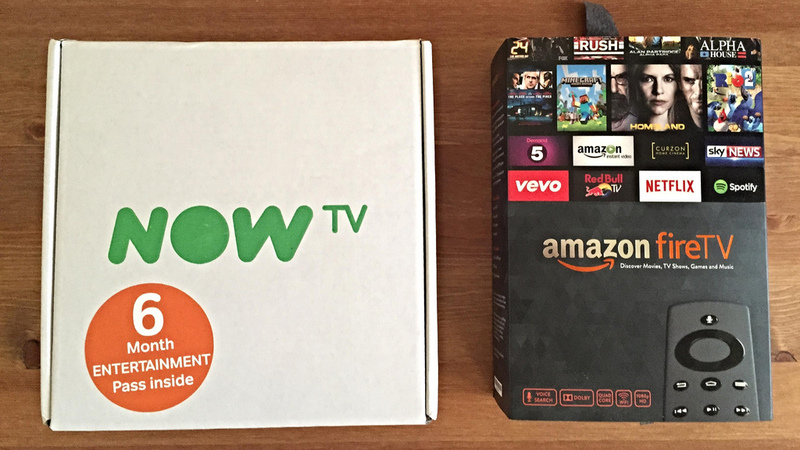 Now you can connect NOW TV and Amazon Prime Set Top Box’s to your E900 and they will work just like they do back in the UK. I found skycardseu who shipped a Now Tv box and VPN router to Doha. I can watch Sky Sports on a pay as you go basis, no contract. So far so good. Service is great. Previous Previous post: Why is it so difficult to get a visa for a secretary in Qatar these days?